The Field Notes size notebook is portable and convenient and it's easy to carry 2 or 3 together, either in a cover or loose. 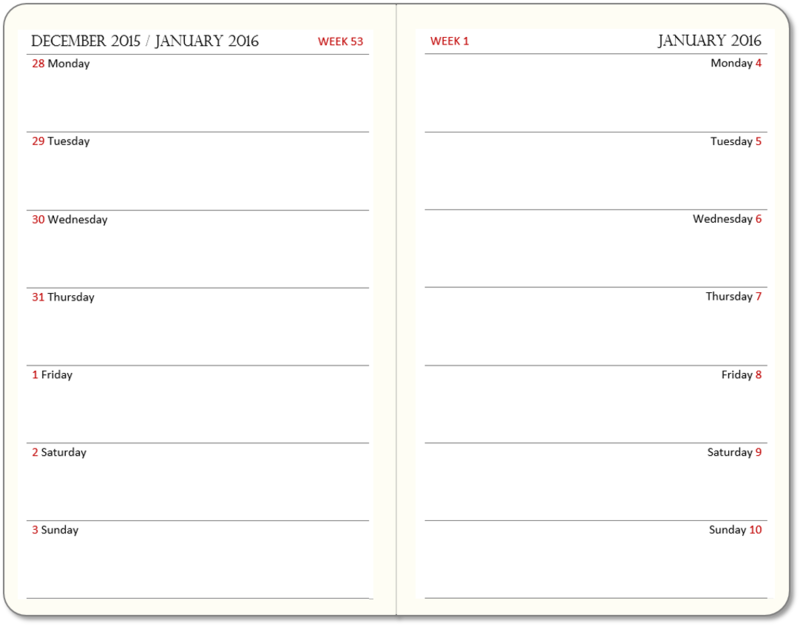 The format is awkward for diaries, though, because a booklet that will cover the whole year is too thick. My week on two pages layout needs two booklets to cover the year. I had shied away from making a week per page Field Notes size layout, because the space for each day would be too small to serve as a functional appointments diary. But I was thinking about this the wrong way entirely. 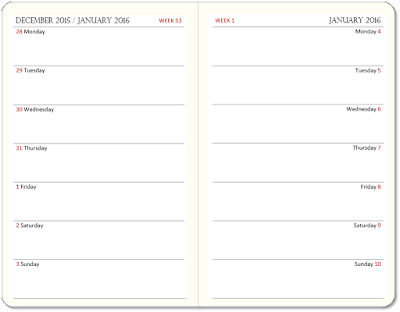 As soon as I had created the layout - pictured below - I realised how I would use it. 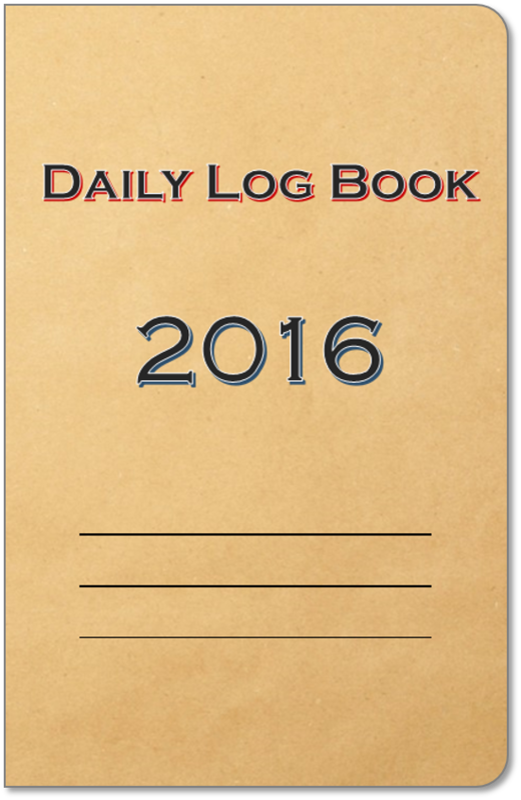 Rather than a full appointments diary, this is a log book. There's plenty of space in each day to track information as your progress towards a goal or monitor some variable metric or other - say, weight, step count, run distance and time, cycling or whatever. Or you could make a tally mark whenever you do a particular thing to reinforce a habit - each time you give someone a compliment, for instance, or each time you decide not to make an impulse purchase. I'm carrying mine to track my running and cycling next year. 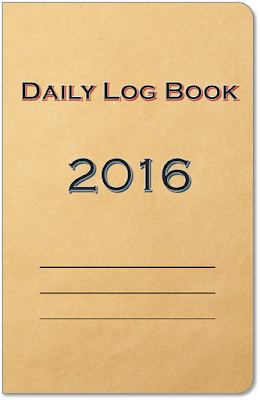 You can download and print your own Daily Log Book for 2016. If you want to take advantage of this offer, email me and we can make arrangements.